Yay! 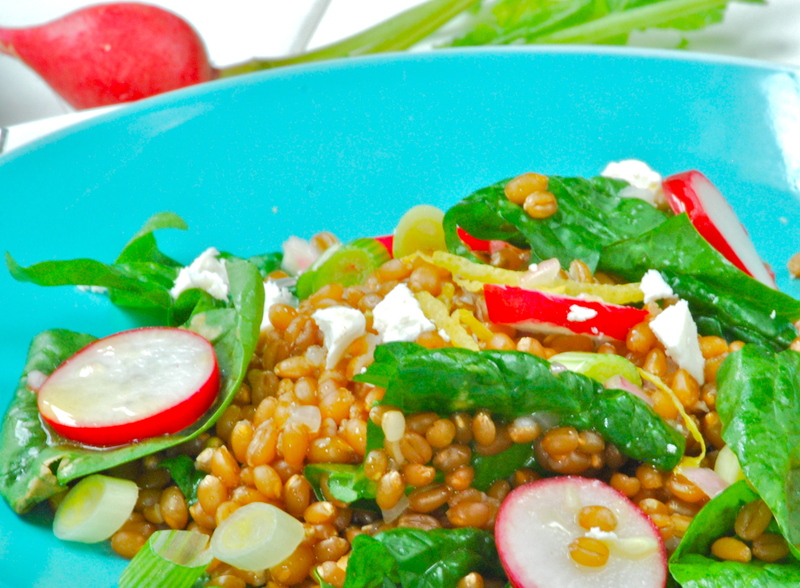 I’ve been wanting someone to teach me how to cook wheatberries…thank you! They are so easy and healthy! My favorite part is that they freeze well. Hope you enjoy the recipe! 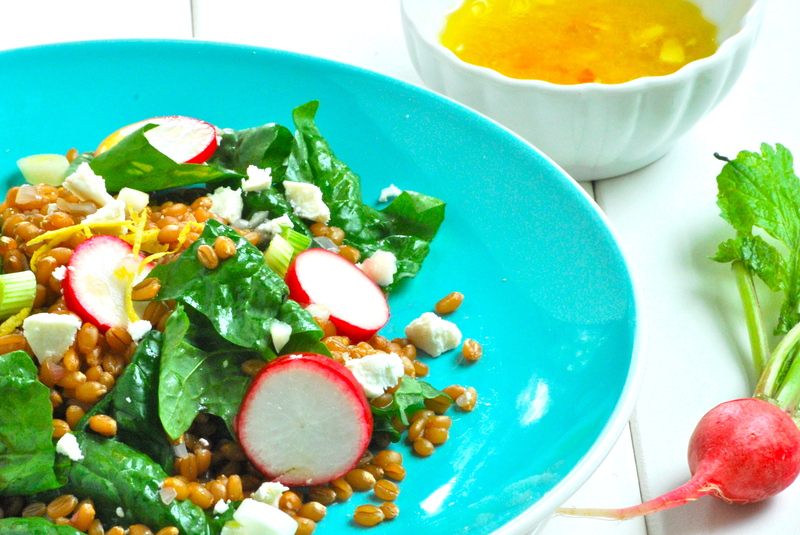 I love summer salads with grains and will be cooking this up with my CSA goodies this weekend. Thanks for sharing!! I love hearing that! Hope you’re enjoying your CSA — I always feel like it’s my birthday when I open up the box. What a GORGEOUS salad! I am super inspired. 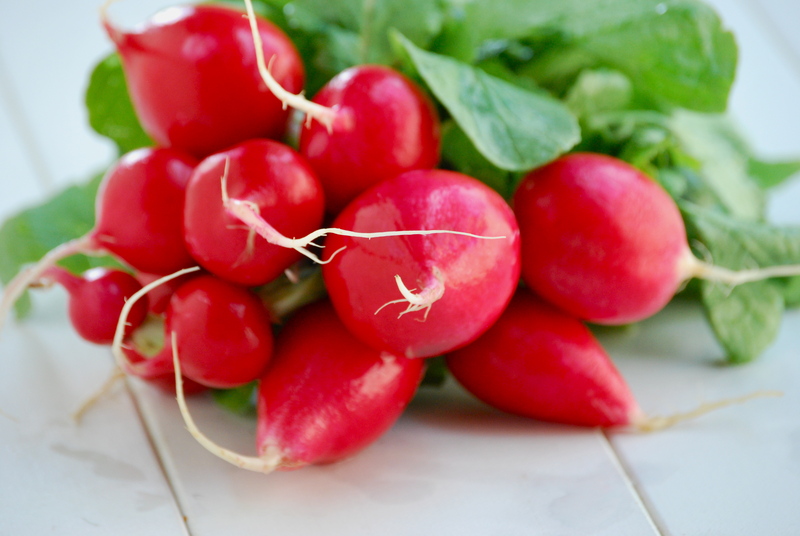 I just picked up radishes and spinach at the market this week, too. I have never tried what berries but have always been curious. Thank you for the introduction! I must try this recipe! Thanks, Laurie! !